Breaking down Barriers has kicked off the academic year with a workshop in inclusive design with our new Part 1 typography students. 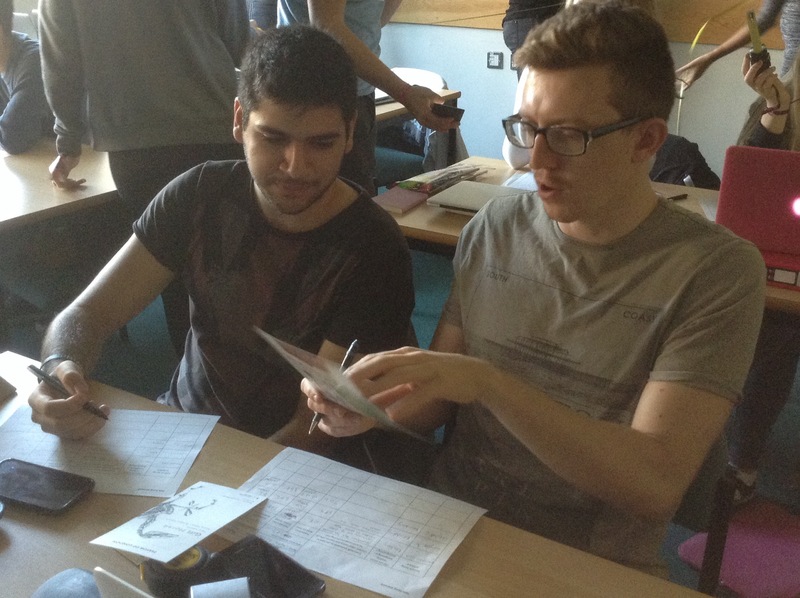 Today we had our first session for the BA Graphic Communication Integrated Design Methods module. 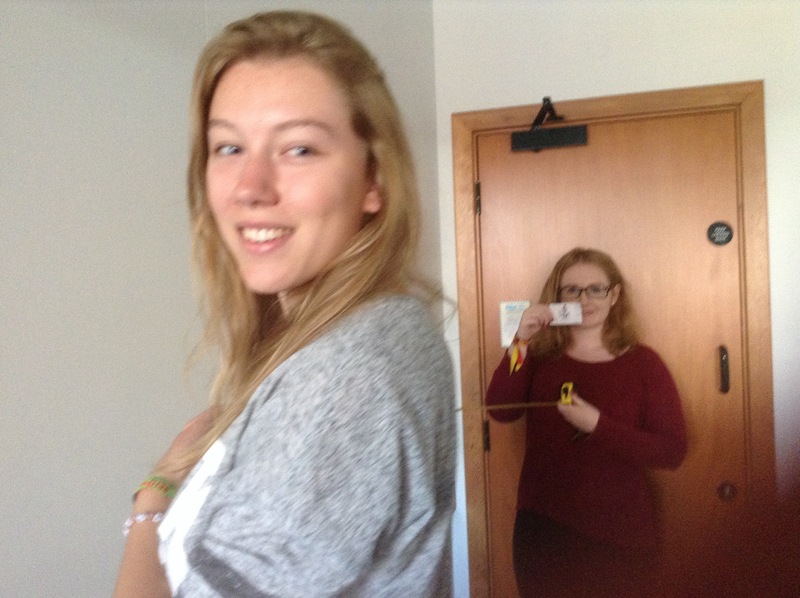 The students engaged with the new SEE-IT sight exclusive prototype for assessing visual inclusion/exclusion (currently being developed by the University of Cambridge as a new addition to their inclusive design toolkit). Working in pairs, they measured visual inclusion of typographic elements in business cards, leaflets and mobile apps. The workshop was an engaging way of introducing typography students to the task-based learning approach used in this module. It also provided an effective introduction to inclusive design and the kinds of factors designers need to consider in their decision-making. The module focuses on user-centred design applied to a range of genres including: editorial design (‘design for reading’), pictograms and wayfinding, and digital design. Typography lecturers Rob Banham and Jeanne-Louise Moys facilitated the workshop. We hope our students will continue to use inclusive design tools to support their decision-making in practical projects throughout their degree. It was also a great way to enrich the student experience with technology-enhanced learning. Our thanks to Joy Goodman-Deane and Sam Waller who introduced us to the tool at Include2015 and gave us permission to use their prototype in our teaching. 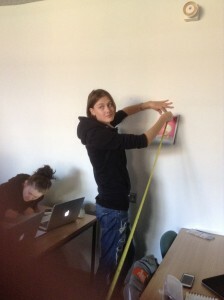 Typography students Theo and Stephen team up to measure the ex/inclusivity of leaflet designs. 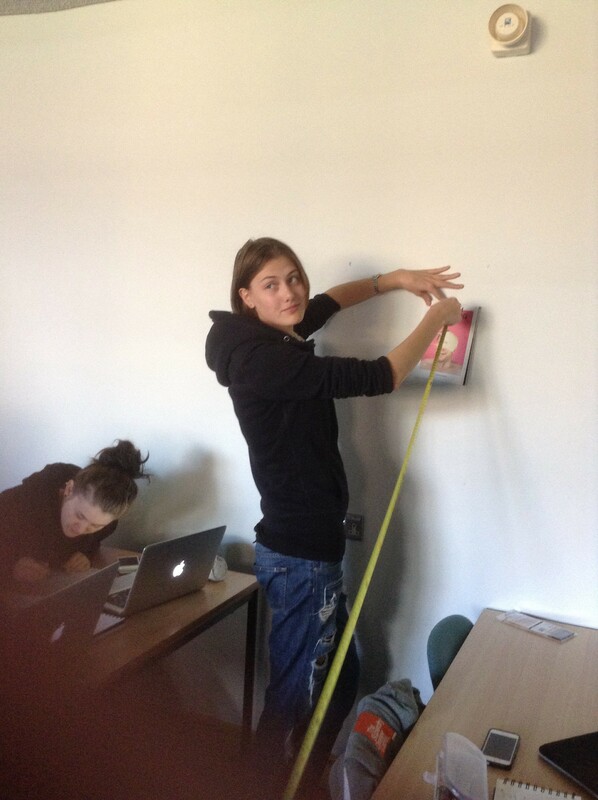 Typography student Polina setting up to measure ex/inclusivity in cover design. 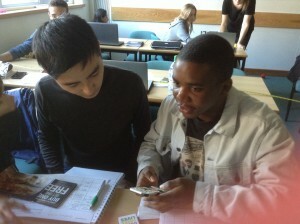 Typography students Kash and Kundai calibrating their phones to measure visual inclusivity. Typography students Amber and Orla evaluating the visual ex/inclusivity of capitalised letters on business cards. Christina and Jeanne-Louise presented our poster about Breaking down Barriers at Include 2015 earlier this month. They also participated in a range of exciting inclusive design workshops. 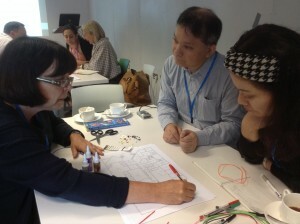 One of our highlights was the tactile mapping workshop – here’s Christina collaborating with Junko (right) and Yasuyuki (centre) from Kyushu University in Japan.